Customer strategy is an approach to business strategy. A way of thinking and a set of tools to get the customer perspective into business and technology processes — which require other customer tools than those used for brand and marketing. 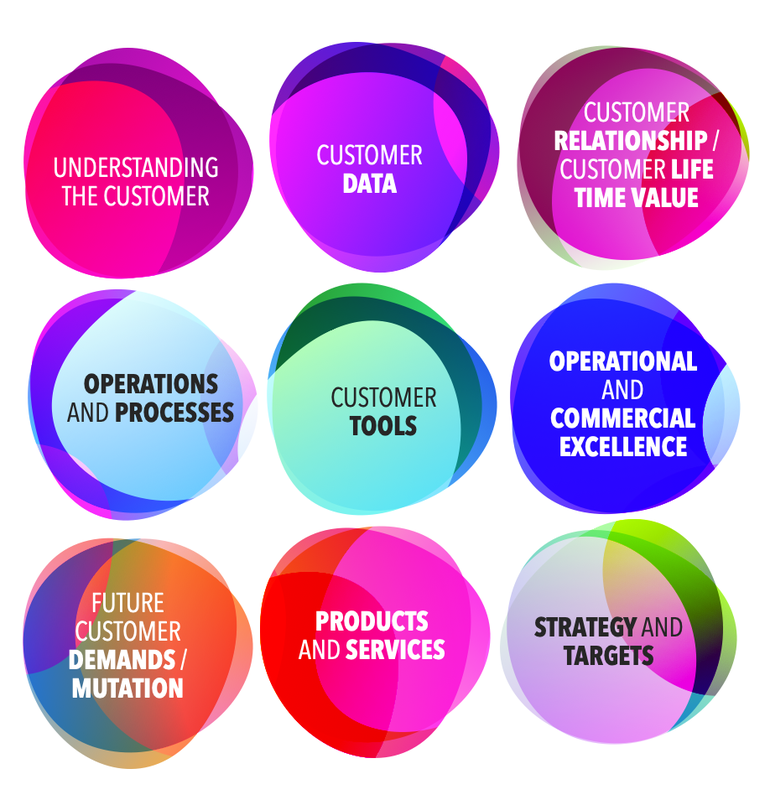 Customer strategy creates a new suite of tools to help the organization align, involve and collaborate with the customer — or capture the customer in a new form, language or process that enables a new generation of understanding and value creation for the organization. Digital Design Thinking takes the best of Design Thinking — its customer, data and experience mindset — and employs this in a digital environment — at scale. Creating several new benefits to the Design Thinking methodology. This is the future of customer insight — integrated, immediate, continuous and at scale. What are the important questions to ask your organization when it comes to the customer, take our assessment in order to find where the company is served and where it needs to continue its hard worked (at the moment we have just published the questions). Customer Due Diligence is an investigation into an organization’s customers, market potential and risks. Using specialized tools to analyze and map the customer’s situation and their motivation for purchase, investment or engagement. The customer journey can be both a devious ploy to trap the organization in its current status quo — and an opportunity to increase operational and customer excellence. What opportunities are technologies enabling and how can we update the customer journey to be an essential part of every organizations tool box?